When it comes to effective marketing, whether it be online or offline, one of the tenants of good marketing is having the right message in front of the right person at the right time. When it comes to social media that old adage is true, including when it comes to posting and getting your message out there on Twitter. Twitter is a dominant social media platform with over 300 million active monthly users who tweet out a crazy five-hundred billion tweets per day! Beyond the professional athletes and entertainers who drove its growth in earlier days, can internet marketers justify their own involvement here? In a nutshell, the answer is yes. Increasingly, sharp online entrepreneurs recognize Twitter's potential for boosting traffic, raising brand awareness, generating leads and increasing sales. Cynics may ask what can be done with a two-hundred-eighty (280144) character tweet. In fact, you can do an awful lot, especially if you maximize the timing of your posts. Fortunately, online entrepreneurs can increasingly tap into Twitter analytics on a real-time basis. Let's take a look at some of the key things to help you determine when the best times to post on Twitter for your business are to reach the most amount of people and get the best results. Twitter is one of the most heavily monitored social networks in the world, with Tweroid, Followerwonk and other analysis tools leading the way. The highest average click-through rates (CTR) occurs between Mondays and Thursdays, 1 pm and 3 pm, with no specific peak times. This would be the ideal time to post if your goal is to get people to click-through to your website or landing page. The worst time for posting appears to be weekend evenings (after 8 pm), and Fridays after 3 pm. These times coincide with the lowest amount of engagement, clicks, re-tweets, etc. Tweets with images are most effective. Be sure to use good images in your marketing strategy. The key takeaway here is that there are a few different metrics to look at including how many poeple see your tweets and how many click to your website. Keep this in mind when determining what the end goal is of the tweet you are making. The key takeaway here is that you should absolutely be using images in your Twitter marketing efforrts. In the workplace, to have your tweets seen, read, shared and acted upon, you'll want to post them around lunchtime. That's when a lot of people enter the Twittersphere to check what's going on. If they haven't looked at your tweet by 3 pm, chances are they won't be seen. This is especially true on Fridays when employees' thoughts have already turned to the weekend. Evenings after 8 pm are also poor times to draw in your target audience. You can also try posting early morning; as this is a time a lot of people will do a quick social media check-in before starting their day. Business to Business (B2B) marketing is slightly different. In this case, weekdays (Monday to Friday) are 15-20% better for meaningful engagement. In addition, 5 pm (most retweets) and 6 pm (best CTR) tweets are recommended, because the '5 to 7' crowd includes many motivated entrepreneurs looking to catch up on the latest news. Perhaps surprisingly, Business to Consumer (B2C) Twitter activity is best on Wednesdays and on the weekend; consumers like engaging with brands outside the workweek and on the traditional grocery shopping day. The same is true when dealing with a hobby / personal interest type of market; where people are more likely to engage on the weekend. 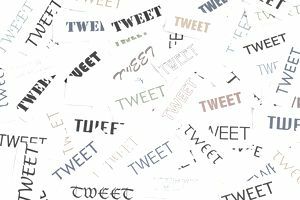 Link-based tweets work best, and based on the above percentages, it appears to be worth the effort to add images whenever appropriate. There are services online that make Twitter scheduling especially easy, allowing you to concentrate on your message. Twitter appears to be more popular at school, work, and in transit. The '9 to 5' crowd often uses commuting time between home and work to interact with their mobile devices, especially with social media. Public transit users, in particular, have anywhere from one to three hours daily to kill, so Twitter becomes a prime source of vital information. Of course, the best recommendation is to look at your own analytics to keep track of the best days and times for you to tweet and engage with your specific audience. This is also true of other social media networks you may be using, such as Facebook, LinkedIn, and Instagram - you can get a tremendous amount of insights and data based on how your own audience interacts with your brand. You can always experiment with different tweets at different times and see what your audience responds to best. In addition to using the built in tools that twitter and other social media networks provide you should also have your own analytics installed on your website, with Google Analytics being the most common. Measure (test) your Twitter performance. It makes sense to time your tweets so that your best content gets in front of the right eyeballs. It can mean the difference between great success and repetitive failure. Given the nature of internet commerce and marketing, social media timing today merits a serious look. Review Twitter basics and your posting schedule to better reach and satisfy your target audience. If you're looking to maximize your social media marketing, you should also take note of the best times to post to Facebook and the best times to post on LinkedIn for maximum exposure, engagement, and sales.